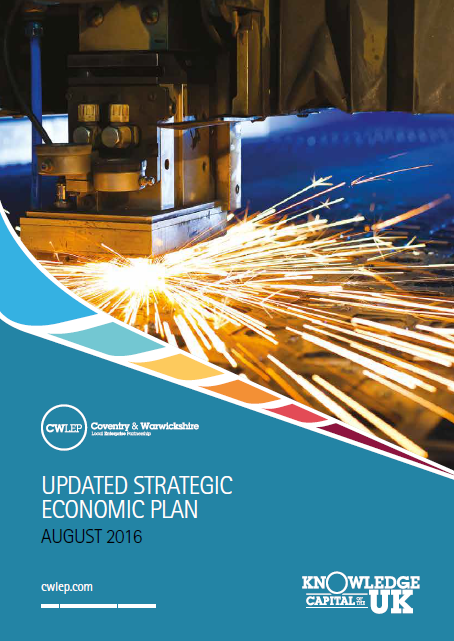 The CWLEP’s Strategic Economic Plan (SEP) is our roadmap to economic success. It sets out the vision, objectives and actions needed to build on our strengths, tackle barriers to growth, and make Coventry & Warwickshire a more prosperous area in which to live, work and do business. First published in 2014 and updated in 2016, the SEP has been developed and agreed by a broad base of partners who understand the region’s unique assets and share ambitions for its success. It also aligns with the overarching ambitions of the West Midlands Combined Authority and the Midlands Engine - organisations working to transform the UK’s central corridor into an economic powerhouse. That vision is to grow the local economy by 4.05% pa, achieve a GVA pa increase of £15.823bn, and employ an additional 94,500 people by 2030. To meet these targets, the SEP outlines a supportive environment in which businesses of all sizes grow and prosper, from SMEs to large enterprises and major brands. Seizing the opportunities afforded by the region’s advanced manufacturing and engineering (AME) industry, the SEP lays out a trajectory for prioritising growth across the AME and future technologies sectors to ensure Coventry and Warwickshire becomes a major global centre for R&D and engineering. This focus on innovation as a key economic driver paves the way for continued inward investment from the private sector, bolsters productivity and encourages upskilling at our excellent universities, FE colleges and research institutes. Improving infrastructure and opening up employment land will also play a crucial role in making the area more attractive. When businesses choose Coventry and Warwickshire as a place in which to invest and expand their operations, employment opportunities increase and public services can be improved, making it a better and more prosperous place to live. As more people move to the area, it is our ambition to provide 75,000-76,000 new homes and deliver improved housing by 2030. And with better transport links, we’ll see increased tourism to our cultural assets - another area the SEP identifies as a priority for growth. Ultimately, this SEP provides a framework for allocating resources where they’re needed most, offering vision and ambition with far-reaching private and public sector collaboration. We’re confident it will deliver outstanding results. The past two years have seen much progress in Coventry & Warwickshire’s economy, with the early Growth Deal investments providing strong foundations for growth; however, it is important that the Strategic Economic Plan evolves in its focus, priorities and plans to respond to the area’s evolving economic challenges in a strategic manner. We benefit from being able to call Coventry and Warwickshire our home... it is within an hour's drive from 15 universities, producing 100,000 graduates each year.